This year’s WNBA draft class did not disappoint. Thursday night was one of the few nights these ladies could enjoy all the moments that got them to the WNBA. Thursday night’s draft class was comprised of a wide range of college superstars with a diverse range of talent. Note: On Friday morning former University of Washington center/forward Chantel Osahor drafted in Round 2, No. 21 by the Chicago Sky was traded to the Minnesota Lynx for Keisha Hampton. No. 1 WNBA draft pick Kelsey Plum from Washington is headed to the San Antonio Stars. Before the draft began Thursday night, the rumors started that the San Antonio Stars might trade the No. 1 overall pick. 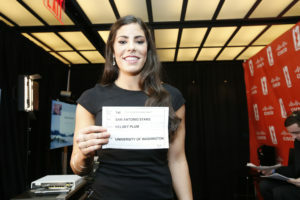 However, they stayed put and selected University of Washington standout Kelsey Plum. 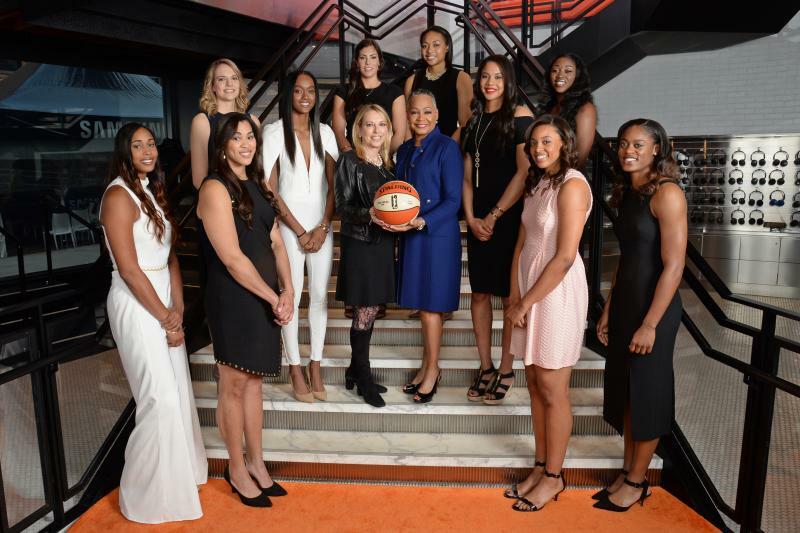 Eight of the last nine top picks in the WNBA draft have gone on to earn the WNBA rookie of the Year honors. Plum will look to continue this streak. While Plum may not have been a surprising pick as she is arguably one of the greatest sharpshooters in NCAA history. If that’s not enough Plum entered Thursday’s draft in great company as one of five collegiate athletes to sweep the five national player of the year awards. Plum left her basketball career in Washington is style with a 57-point outing on Senior Day. This season Plum also broke Jackie Stiles’ NCAA single-season record of 1,062 points. The Missouri State star Stiles’ had held the record since 2001. The San Antonio Stars have chosen a guard with their first pick in four of the last six drafts. When asked about how she felt about joining the Stars Plum said, “going to San Antonio, that’s my focus. I’m going to be a great teammate and I’m really excited.” I think Vickie Johnson and Ruth Riley the respective head coach and general manager in San Antonio can’t wait to see Plum get to work as well. Plum is the second player chosen 1st overall in a WNBA draft by the Stars organization. The other No. 1 was Margo Dydek back in the 1998 draft. Plum is going to a San Antonio team that finished last season with a league-low record of 7-27. The Stars averaged by the fewest points per game in the WNBA last season at 72.0. Also, had the worst offensive rating (93.2) in the league. San Antonio hasn’t won a playoff game since 2011. Plum is the reigning Wooden Award and Wade Trophy winner. This season Plum averaged 31.7 points per game in addition to shooting 52.9 percent from the field and an astonishing 88.7 percent from the free throw line. She also shot 42.8 percent from behind the arc. Support: It was nice to see that Plum had support in Thursday’s draft from the projected No. 1 pick in the NBA Draft fellow Washington Husky Markelle Fultz. You could see the full pure excitement he had for Plum after her name was called and that the two knew that what they were doing was truly incredible. If Fultz goes first in June, Washington would be the first school ever to have the top pick in WNBA and NBA drafts in the same year. Washington Huskies Kelsey Plum and Markelle Fultz enjoying themselves at the 2017 WNBA draft in NYC. It was no shocker that the loaded Gamecocks team would have top picks in this year’s WNBA draft as three players were invited to the draft. After a season-ending injury, the surprise was the Chicago Sky with the No. 2 pick selecting Center Alaina Coates from the University of South Carolina. The 6’4 Coates became the highest pick in Gamecocks history. Many experts thought she would go later in the first round. Coates suffered the ankle injury in February during the SEC championship game against Kentucky, causing her to miss the NCAA tournament won by her own South Carolina Gamecocks. She has no true timetable for her return. Even with her injury Coates was considered an All-American from the Associated Press. When asked about her injury Coates said, “I have a couple more weeks in a cast, then I’ll go to my doctor and we’ll see where we’ll go from there.” She is expected to not have to use the scooter anymore by summer. Coates earned All-SEC honors all four years. Her senior year she averaged 12.9 ppt and 10.7 rebounds a game. In her overall collegiate career, Coates averaged 12.1 ppt and 9.2 rebounds. Coates helped four different Dawn Staley teams achieve No. 1 NCAA Tournament seeds. This offseason most notably the Chicago Sky traded former league MVP Elena Delle Donne to the Washington Mystics in a three-way trade. This trade enabled Chicago to receive Washington’s No. 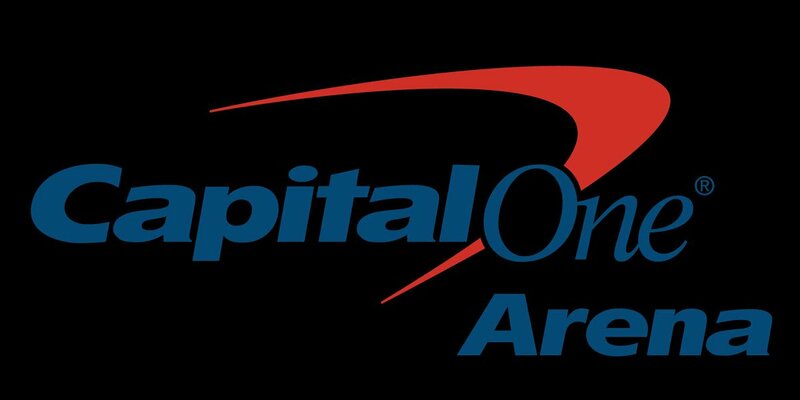 2 pick this year and to acquire All-Star center Stefanie Dolson and guard Kahleah Copper from the Mystics. The Sky have a nice young roster and Coates will add another dimension of depth. It must be something about the DMV area as with the No. 6 overall pick the Washington Mystics selected guard Shatori Walker-Kimbrough or SWK from the University of Maryland just down the road (15 miles to be exact). A three-time All Big-Ten selection, SWK is a player who has continued to improve vastly since arriving at Maryland. Shatori Walker-Kimbrough is the newest member of the Washington Mystics. SWK has placed herself is the history books of the Maryland women’s basketball among elite program greats as she finished her Maryland career as the most accurate three-point shooter. Also for the Terps, she was fourth all-time in scoring with 2,156 career points. If you’ve followed her journey ay UMD you know how her career is the definition of hard work. She began at Maryland as a solid prospect but not at the top of her recruiting class and she leaves Maryland with a well deserved banner in the rafters among All-Americans who came before her. Her name will now hang at Maryland by greats like, Marissa Coleman, Shay Doron and Vicky Bullett. 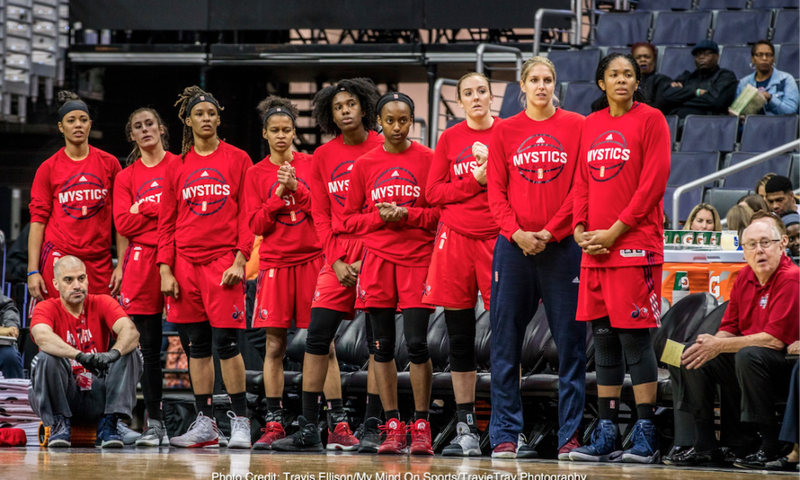 The Washington Mystics are quite frankly trying to get better offensively. SWK will be playing next to Maryland champion and legend Kristi Toliver, another new Mystic in Elena Delle Donne, and three-point assign Emma Meesseman. These names should ring a bell in your head. As Toliver, Delle Donne and Messeman were all atop the WNBA in three-point shooting percentage. So, SWK will be yet another sure fire offensive threat to break opposing team defenses. The Mystics must be big believers of the basketball program that Brenda Frese has built as they now have three Terrapins on their roster, as they recently signed former Terp Tianna Hawkins. Most WNBA rookies make about $50,000, so you know they play because they truly love the game. 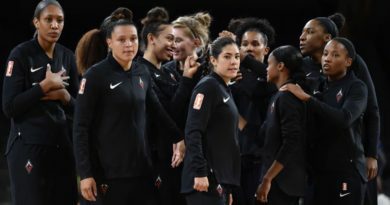 It will be interesting to see what rookies start for their respective new WNBA teams and if they are able to make the adjustment from college to the pros.